Did you just come back from vacation to find water damage in your home? Water damage is always devastating. No homeowner wants to deal with soggy flooring or ruined inner walls even if they catch the mess in time. Experiencing water damage while you’re out of town is such an unwelcome surprise to return home and find. Heading out for a spring break? Ready to hit the beach this summer? Here are a few ways to prevent water damage from occurring while you are away on vacation. 1. Turn off the main water valve. The number one prevention for water damage while you’re away? To have no water running. That’s right—turn off the main water valve and drain the pipes. Not sure where it’s located? Typically, in Colorado, homes are built with the main shutoff in the basement, so check there first. If you’ve never shut off the main water valve before, test it before you leave for vacation. 2. Inspect your supply lines. Next, you’ll want to inspect your supply lines (or have a professional do a full plumbing inspection, if you are really worried!). Are your supply lines made of plastic? Consider an upgrade. Switching over your supply lines from plastic to steel doesn’t cost much and can save you from an unexpected line rupture while you are away. You’ll want to check in on your gutters, too. Do a quick sweep for leaves and other debris that might clog your system. Remove any obstructions before you head out on vacation to avoid rainwater overflow. Measure your downspouts, too. All of them should discharge at about 10 feet away from your home. If you come up short, consider extending them. Let’s face it: outdoor temperature makes a big difference when it comes to the possibility of water damage. If you are going on vacation in the winter, you’re going to worry a bit more because freezing temperatures aren’t friendly to faucets and pipes. To avoid frozen pipes, remember to keep the heat on, even when you’re away, at or above 60 degrees. 5. Don’t forget the appliances. If you’re only going to be gone for a short while (and you can’t turn off all of the water because of pets or a housesitter), just focus on specific appliances. Consider turning off the water to things like the toilet, dishwasher, and ice maker. But, leave the tap water on. 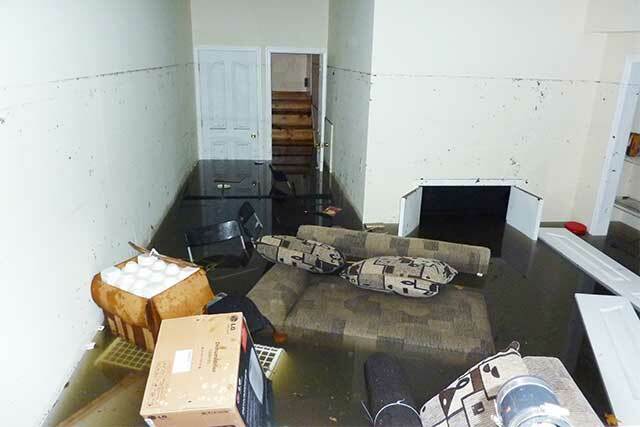 At 970 Services, we understand water damage. Better yet, we know how to best serve homes that have experienced severe damage from water or mold. Always professional, attentive, and willing to go the distance for any and all of our clients, 970 Services is the best restoration company in Northern Colorado. If you are ever faced with a leak or flood that leaves your walls wet, especially if it’s seeped in while you were on vacation, remember to call a local, trusted home restoration company (like us!) first. Need assistance ASAP? Give us a call now at (970) 888-0970 or contact us online for a free estimate.